Oh Là Là Food - Food is Passion. Communicate this Passion! EMERYVILLE, Calif. — The eggplants are crooked and a little long-necked, contorted enough that they would probably lose in a beauty pageant against rounder or more symmetrical aubergines. In the field where they were grown or in the supermarkets for which they were once destined, they would presumably have been discarded. Not because they are inedible — simply because they do not make the aesthetic cut. But the notion that real food has curves may be as catchy as the subversive advertising campaign on women’s beauty. 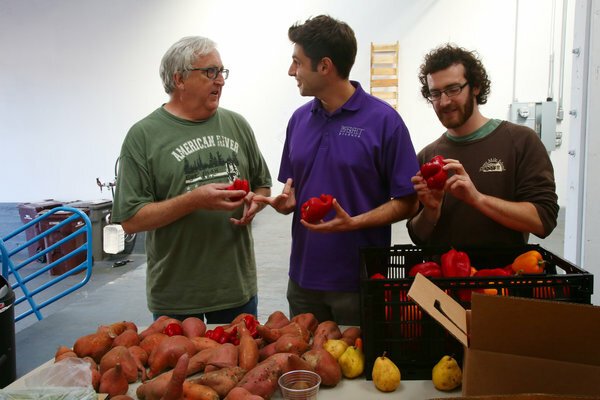 Imperfect Produce delivers boxes of ugly fruit and vegetables to people’s doorsteps in the Bay Area. A large box of mixed produce — 17 to 20 pounds of fruits and vegetables, with five to eight types of items, depending on what is in season — costs $18, for example; a small box of fruit (10 to 15 pounds) costs $12 a week. Mr. Clark primarily relies on buying produce directly from California farmers and supplements it with what he can find at wholesale produce markets in Oakland. In some parts of the Bay Area, where farmers’ market shopping is the norm and a $10 heirloom tomato hardly raises eyebrows, the notion that produce can be slightly discolored or oddly formed hardly seems like a tough sell. But Mr. Clark and his colleagues have not had an easy time of convincing mainstream supermarkets that their produce should fill the aisles. Raley’s, a grocery chain based in Northern California, sold Imperfect’s peppers, pears and apples for a few months this year, pricing them about 40 percent lower than their more traditional-looking counterparts. But after introducing the pilot program with much fanfare, the chain dropped it this fall. Store officials declined to comment for this article. Jordan Figueiredo, a solid waste specialist in nearby Castro Valley, began a social media campaign promoting ugly produce this year. Each day, he sends out pictures — carrots joined at the hip, apples with ample middles, whatever strange-looking thing that catches his fancy. He began a petition asking Walmart and Whole Foods to commit to carrying ugly produce, but neither chain has signed on yet. “There is a real chicken and an egg problem, because retailers say they won’t sell this because people don’t buy it, and people say they want to buy it but retailers won’t sell it,” said Jonathan Bloom, who wrote “American Wasteland,” exploring why so much food is wasted in the United States. From 1974 to 2006, the amount of food Americans wasted increased by 50 percent, he said, adding that ugly produce was the “gateway drug” into the larger and more complicated problems around food waste generally. Imperfect Produce is just one of the ways that entrepreneurs and environmentalists are grappling with food waste, which is increasingly seen as a kind of epidemic. In Boston, the former president of Trader Joe’s has opened a market and prepared-food shop that is selling packaged food that has passed its listed “sell-by” date but is still safe (and tasty) enough for consumption. The food at the market, called Daily Table, also includes produce that has been gleaned from local fields and orchards. San Francisco and Berkeley, Calif., have required household composting for years, and so do some other major cities, such as Seattle. In New York City, entire menus have been developed to limit food waste. A book published in September, “Waste-Free Kitchen Handbook,” encourages home cooks to look for every chance to use a stalk that they might otherwise throw away; its author, Dana Gunders, began her research of food waste for the Natural Resources Defense Council, where she is a staff scientist. 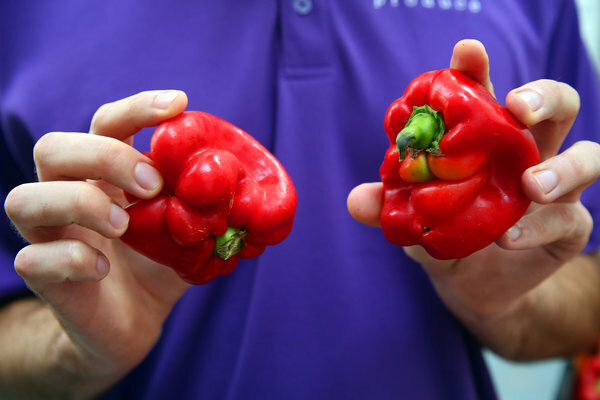 At Imperfect Produce, Ben Simon, the chief executive, and Ben Chesler, the chief operating officer, began their work on food waste as college students, when they saw trays of food from the campus cafeterias thrown out each night. Mr. Chesler and Mr. Simon created Food Recovery Network, which now has more than 100 colleges donating uneaten food to soup kitchens. The pair met Mr. Clark, who had spent more than a decade working to bring produce that would have otherwise gone to waste to food banks across California. Using his relationship with suppliers, the three have created a business that has attracted attention from many of the tech luminaries in the region, including the design firm Ideo, which receives its own drop-off each week. In the week before Thanksgiving, Imperfect’s produce box included avocados, turnips, pomegranates, sweet potatoes, squash and hachiya persimmons. 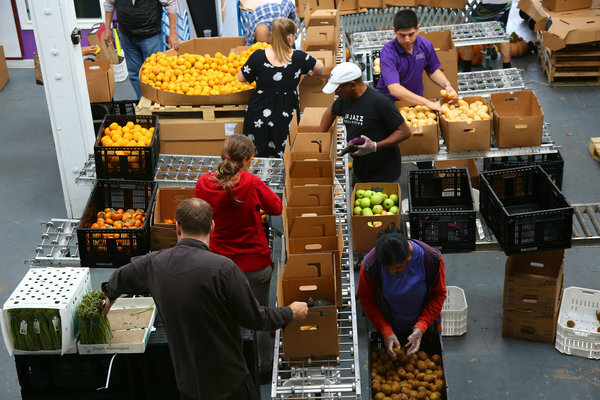 The New York Times.Watch in Times Video » To combat food waste, Imperfect Produce, a San Francisco Bay Area start-up, sells fresh fruits and vegetables that never make it to grocery store shelves. By ERIK OLSEN on Publish Date November 23, 2015.